The Royal County of Meath has been steeped in horse racing, breeding and training for centuries, there are many venues to choose from and Athlumney Manor B&B will be happy to help you organise your day at the races. 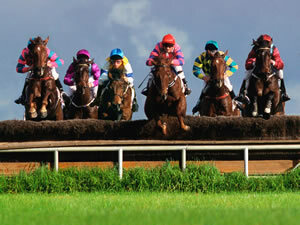 Our B&B is an ideal place to stay whilst enjoying a day at the races! 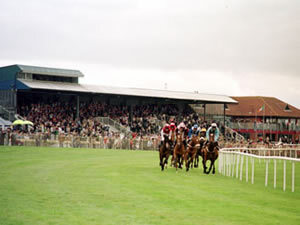 Navan Racecourse – a course of one mile and four furlongs offers a unique mix of national hunt and flat racing. Navan Racecourse has a fully licensed bar and restaurant. Fairyhouse – 30km from Athlumney Manor B&B is one of the finest racecourses in Ireland and continues to be a magnet for the top horses both on the flat and over jumps. Bellewstown Racecourse – 25km – is home to one of the most scenic courses in Ireland with the Mourne Mountain and the Irish Sea forming the backdrop for an exciting day’ events. Bellewstown has two festivals; one at the beginning of July and one at the end of August. Laytown Strand Races – 36km – takes place every September and is surely one of a kind. The enclosure consists of a three acre field, elevated above the beach. Steps which have been built up into the face of the sand dunes and these form the Grandstand. Marquees are erected on the day before the races and these are used to provide a weigh room, bars and snack bars. On Race Day, the strand is closed from early morning and work on the course then commences. By the time the first race is ready to start the tide has gone out, and racing can begin. Tattersall’s – Fairyhouse, Rathoath is Europe’s largest bloodstock auctioneers with over 6 horse sales held throughout the year.